It never ceases to amaze me how deeply personally satisfactory it feels to do something you thought you could never do. Having had knee troubles for many years (me and my knee troubles go back years, all the way back to when I fractured my kneecap in a cycling accident), even as I was running 1/2 marathons and triathlons, I was sure that full marathons were not for me. Too much pounding. Too much pain. No, definitely not for me. And — I did it! Did it did it did it! 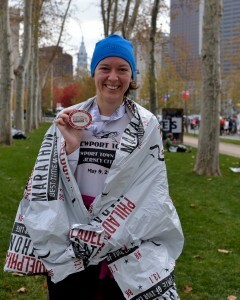 Philadelphia marathon 2012, 4:04. Beautiful day and a wonderfully organized race. Philly has a special place in my heart as the first US city I visited, so running my first marathon here was really fitting. And I ran my very first marathon in the T-shirt I got at my first ever running race, the 2008 Newport 10K. And my knee was absolutely fine, too (although getting it to be fine with this distance took years of work). 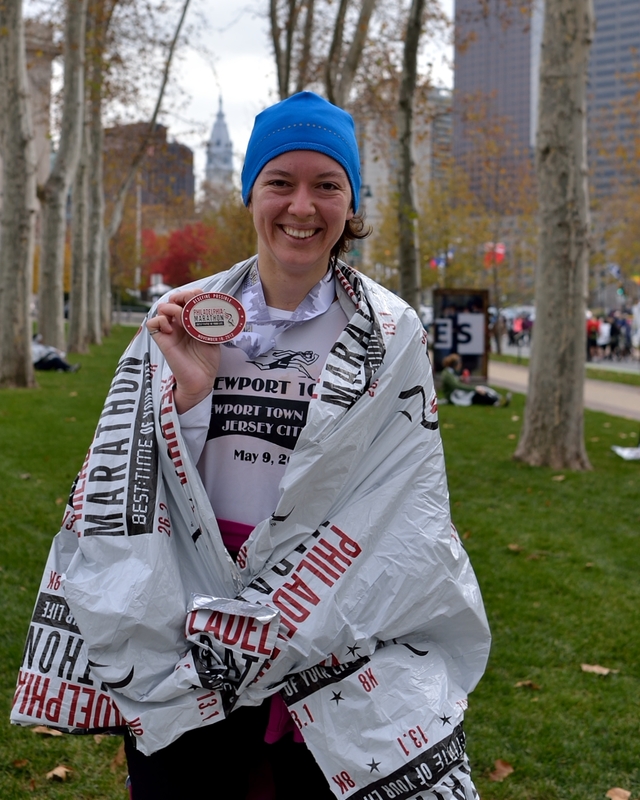 Past the race: I’m a marathoner! This entry was posted in Achievement, Exciting! News and updates, Races, Running, Sports, Training, Travel. Bookmark the permalink.